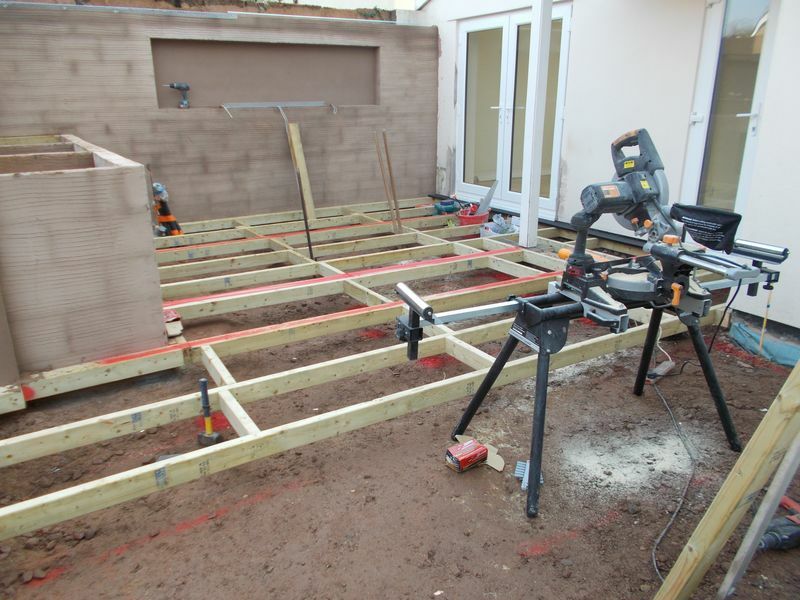 The composite decking mainframe is taking shape, I want to use as many full lengths as possible so plenty of thought and calculations are required, the joists and double up and sprayed red at every joiner. The recycled black decking walkway is installed parallel to the property, a separate detachable manhole hatch will be included to gain access to the manhole cover below. 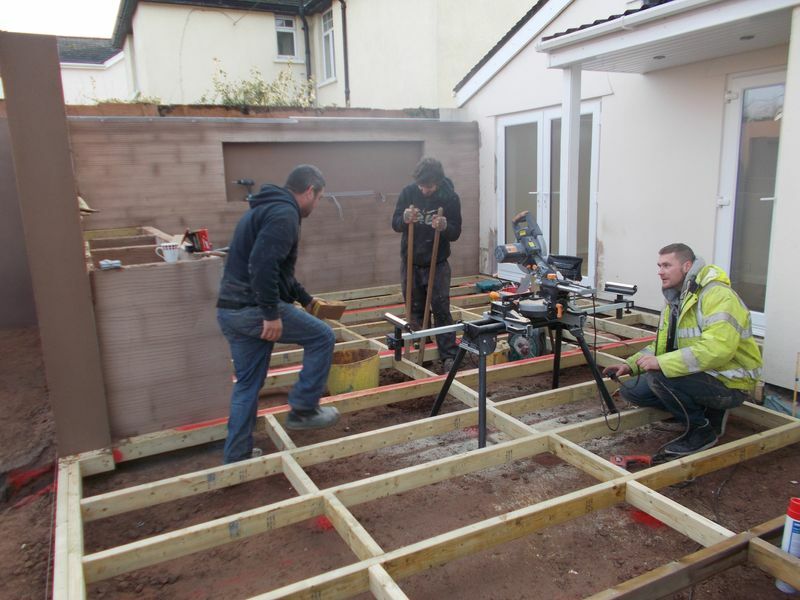 As we progress with the construction of the decking frame, another member of the team drops behind us and excavates the post holes with a pair of scissor shovels. 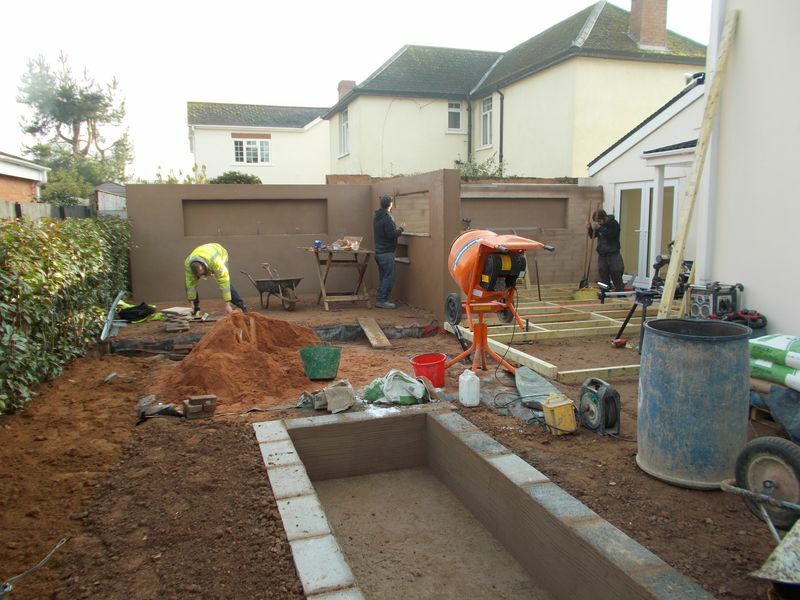 The depth of each post hole dig will be 600mm. 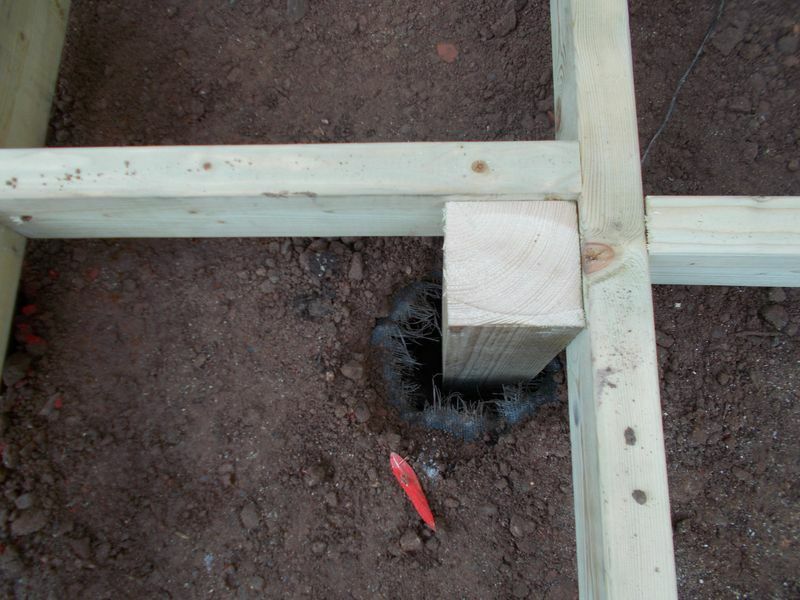 At this depth I install 200mm of concrete to each base of the post hole and compact the concrete prior to installing the 4×4 treated posts. 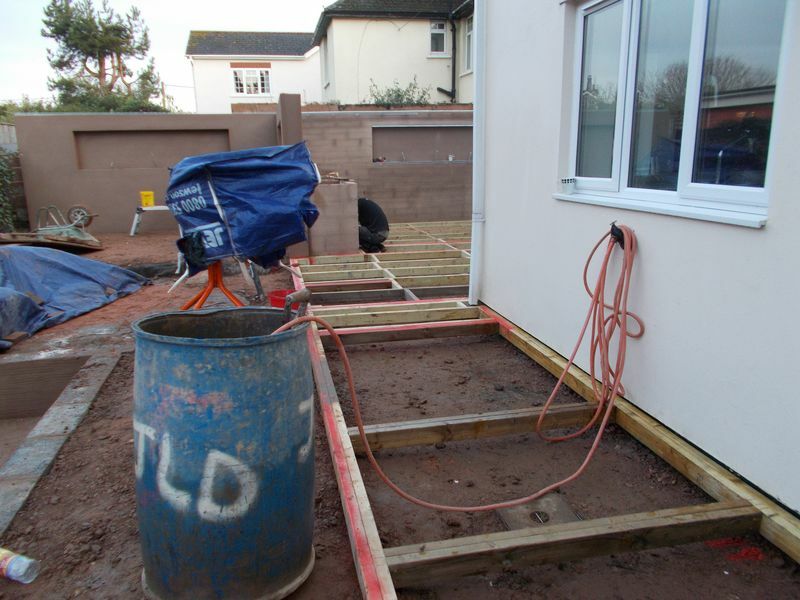 If concrete is not installed at the post base the liability of the whole decking bouncing into the sub base whilst 15 to 20 people party are very high. 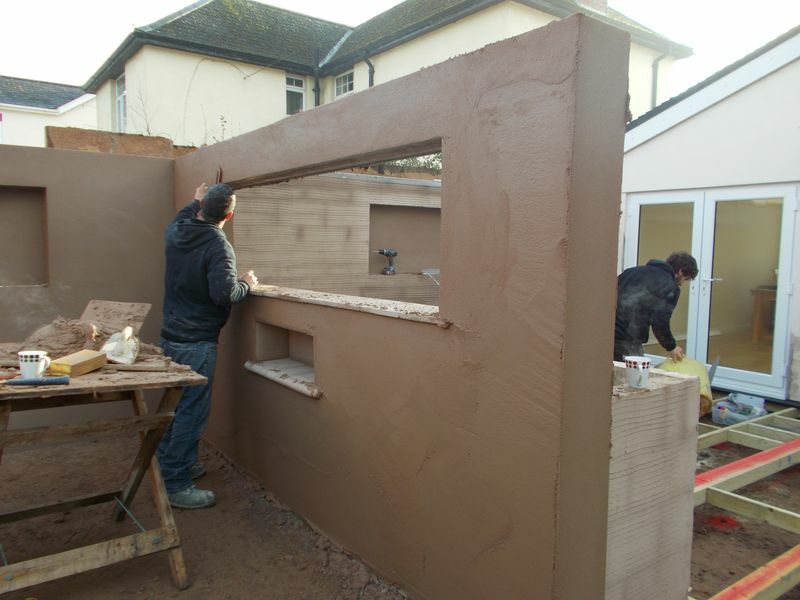 As you see above the finished height of the post is 10-15mm below the top level of the decking frame and concreted in place ensuring the concrete is compacted around the post. 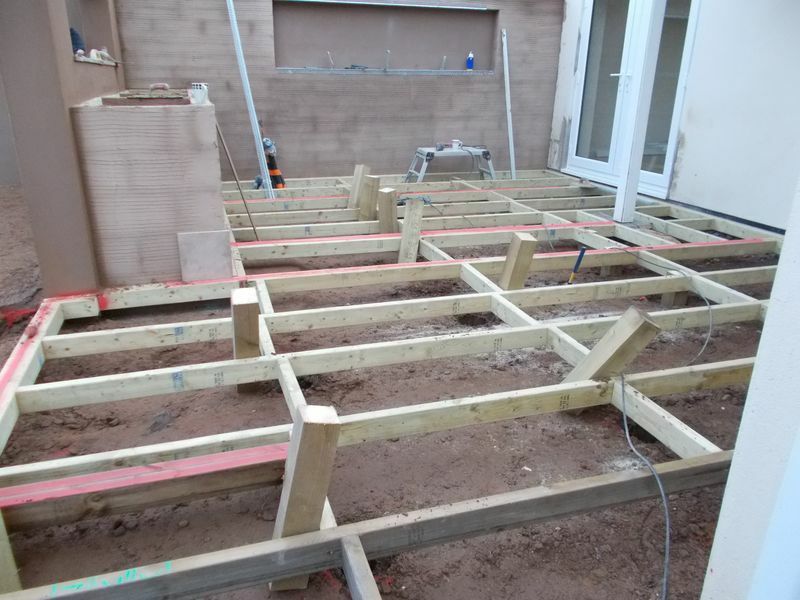 I allow the concrete surrounding the posts to cure for 2-3 days before laser levelling the joists into a level position and bolting the joist to the post with 150mm Timberdrives. 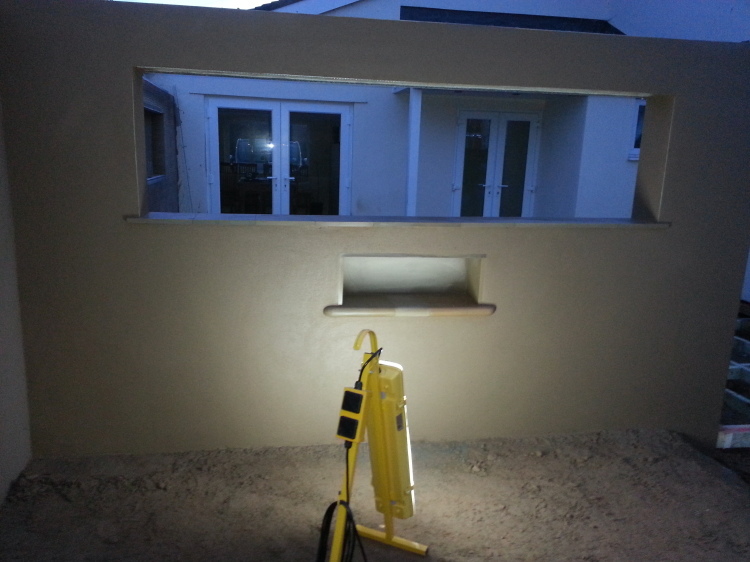 Once the render has been applied to the walling, the plasterer will work with the setting time, rubbing the walling up with a plastic float as the render setting time will allow, this is then completed with a sponge finish, should the walling not set with in the working day then we will bring and set the lights out and continue working with the wall until such time that the walling render top coat is completed.